Next Show April 14! Phenomenal Line Up!!!! 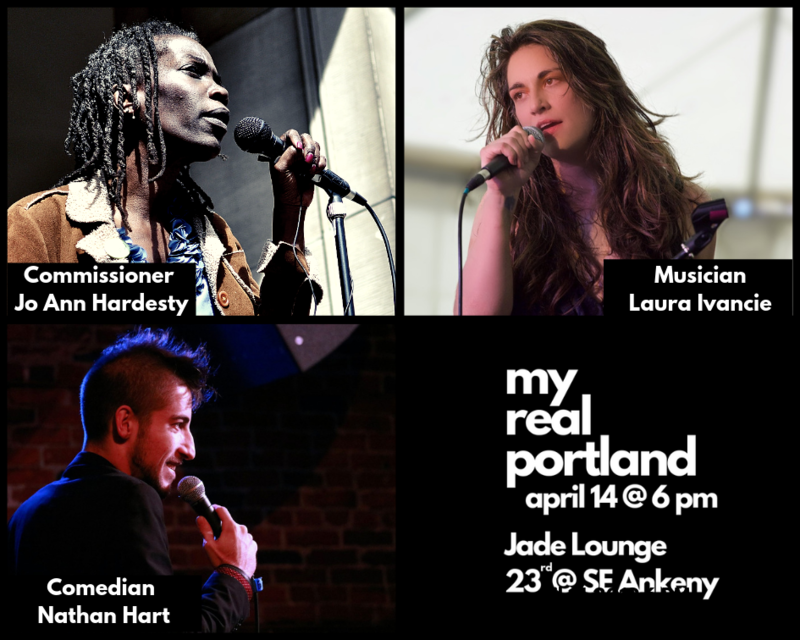 The next My Real Portland features Comedian Nathan Hart (Harvey’s Comedy, The Hard Times , Earthquake Hurricane), City of Portland Commissioner Jo Ann Hardesty (Oregon House of Representatives, US Navy, NAACP Portland Chapter, Albina Ministerial Alliance, KBOO), and Laura Ivancie (Waterfront Blues Festival, International Songwriting Competition, Portland Rose Festival). All that, plus a game show and great German food and beer!